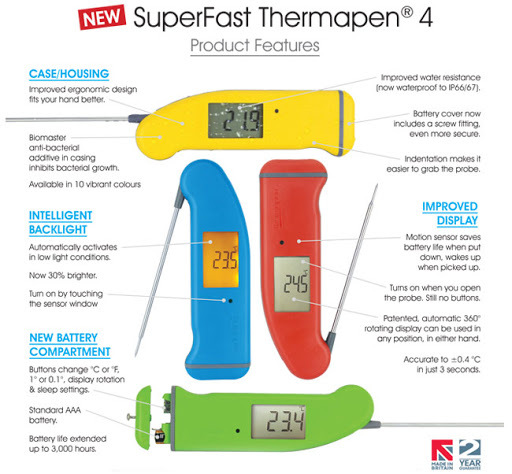 How excited am I to be able to review the SuperFast Thermapen (Mk 4) Digital Thermometer? 'Kid in a sweet shop' doesn't come close! Cooking thermometers are one of my biggest irritations in life..... I must have tried half a dozen in the last couple of years and none of them have come anywhere near to making the grade in my kitchen. 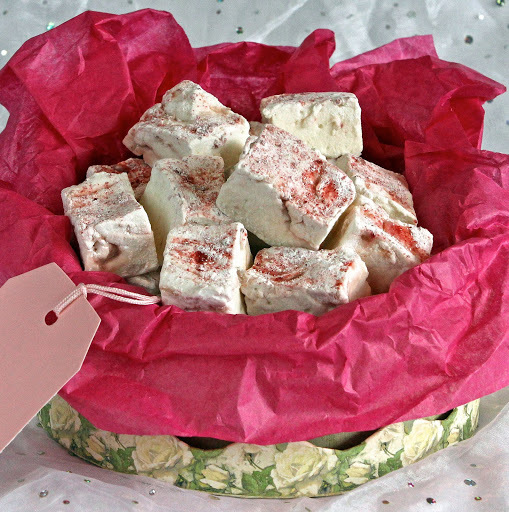 They have either been too flimsy and broken after a handful of uses, so cumbersome that they need removing from the pan to stir the contents (often at the crucial temperature point), too specific so that they can't be used across a multitude of ingredients, or simply plain inaccurate. Interestingly, I have been reluctant in the past to spend too much on my thermometer purchases, possibly because my experiences of using them have been so frustrated (and yes I have wasted a lot of money as a result - a seriously false economy). Having given this little gadget a good run in the kitchen in the last couple of weeks, with everything from testing the Sunday roast and re-heated sausage rolls through to making jam (posting soon), bread, macaron and marshmallow (also to be posted soon), I can report that I am truly impressed. 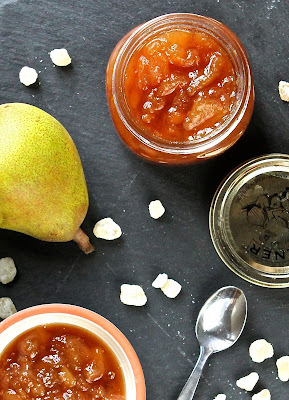 Whilst I never had the joy of owning a Thermapen previously, this latest model is clearly designed not only for accuracy, but also to incorporate lots of clever features which make it incredibly user-friendly. Sleek and beautiful in design, the Thermapen has no buttons for starters. It simply turns itself on when you open it. No fiddling around to get power, set temperatures or alarms...... it is ready to use in an instant and is fast and amazingly accurate to 0.7 F/0.4 C in two to three seconds..... whatever you are using it for. It even comes with its own certificate of calibration, having been hand-calibrated before leaving the factory. Another really helpful feature is Thermapen's auto-rotating 360° display. No matter which way up, down or back-to-front you turn it, the display is still orientated the right way to read it..... brilliant! And if the sun goes down or the lights switch off and you are left in the dark, Thermapen 4 still won't let you down..... 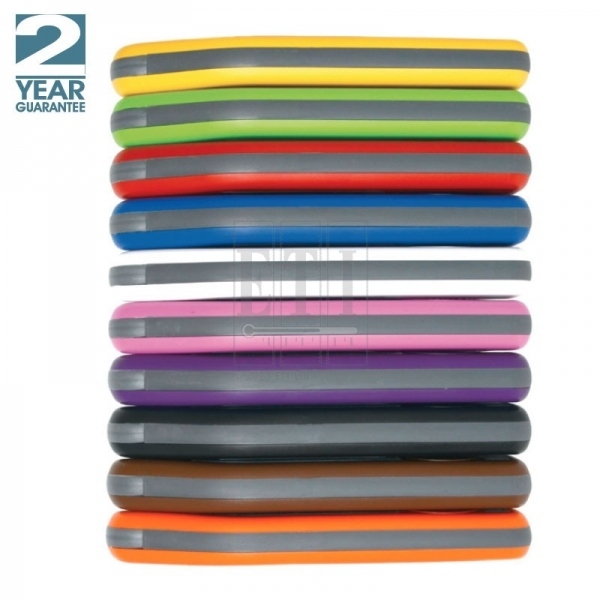 This smart little device is fitted with an intelligent backlight, which automatically turns itself on in low light, when you most need it. They really have thought of everything....... So if you are planning a sunset barbie, worry not.... your steaks and sausages will still be done to perfection. The backlight is fab for checking your meat or bakes in the oven too (without having to take them out unnecessarily). All this makes it really REALLY easy to use. It has been such fun trying to find as many ways to test it as possible. 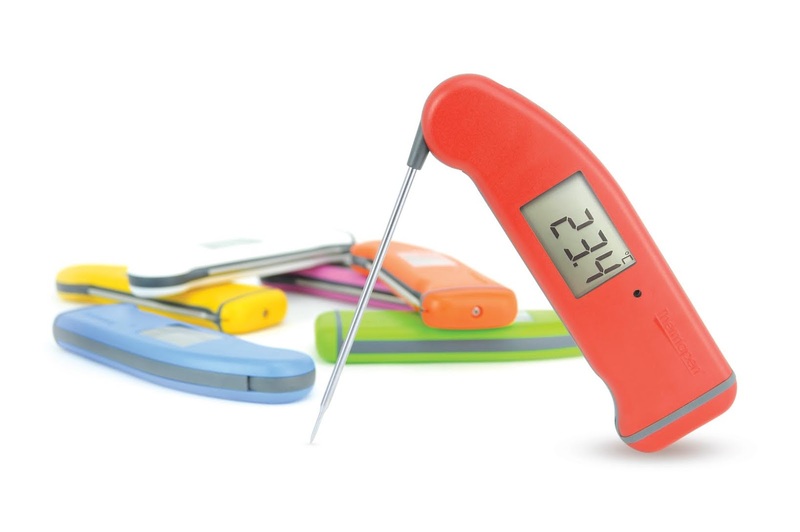 And it looks good too....... With a choice of ten funky colours and a smooth, tactile, ergonomic design, the Thermapen is worth every penny. Oh..... and it's waterproof too, which means that cleaning it is a dream and if I am stupid enough to leave it out in the rain (and yes, I have been known to be that stupid), then it will still be good. Does it restore my faith and take away my frustration? It certainly does! It feels strong and built for the long-haul.... It's hyper-sensitive thermocouple tip is so tiny and quick to respond that even if removed from the pan to stir, it will be back on track to give me an accurate reading in a flash..... And I can use it to test anything (and in the last week...... probably have). 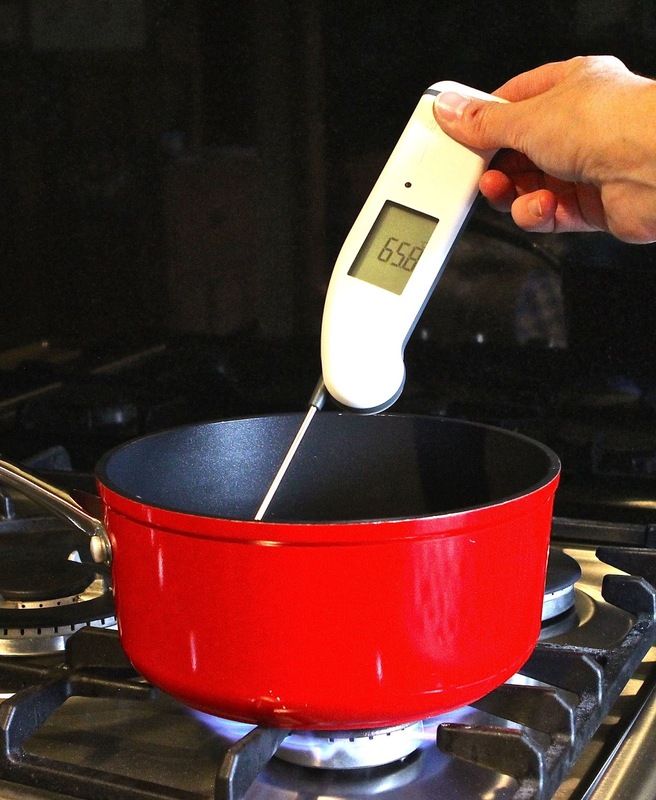 This is without a doubt the best cooking thermometer I have ever used...... Available from Thermapen UK. With Christmas on its way, this is one gadget you will definitely want to find in your stocking! 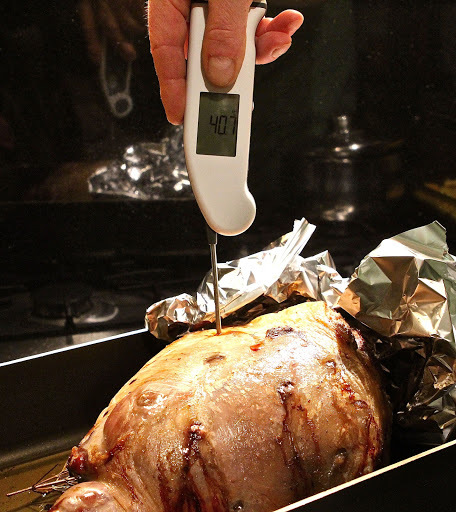 I was sent a Superfast Thermapen 4 Digital Thermometer to review. I was not paid to write this post and was not expected or required to write a positive review. As always, all views expressed are my own. Oh yes this does look good and very efficient. I am always on the look for kitchen equipment and like your review. Very useful. Thanks Alida. It is a fab thermometer. I am very excited to have one!